You can find comfortable and pleasant accommodation in various types of rooms according to your preferences.The hotel is situated in cosy square with well-known Lovers fountain. 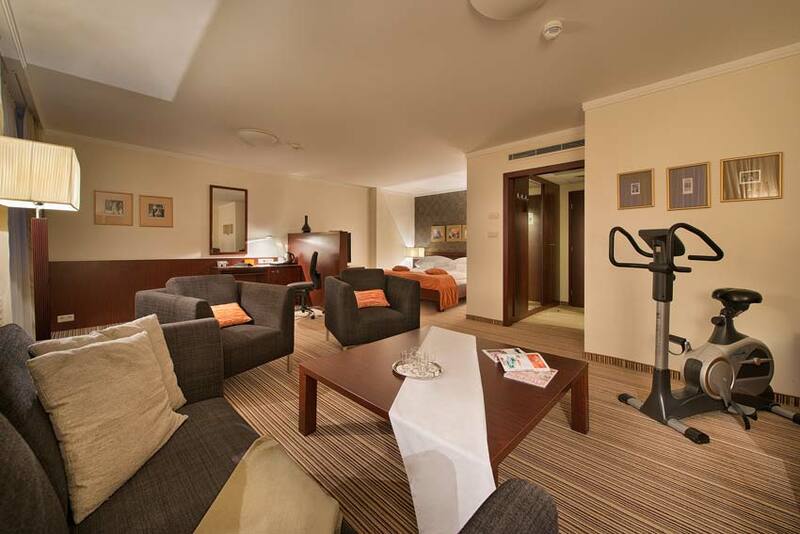 There are several types of rooms in the hotel which are classified in two categories, Comfort and Deluxe. 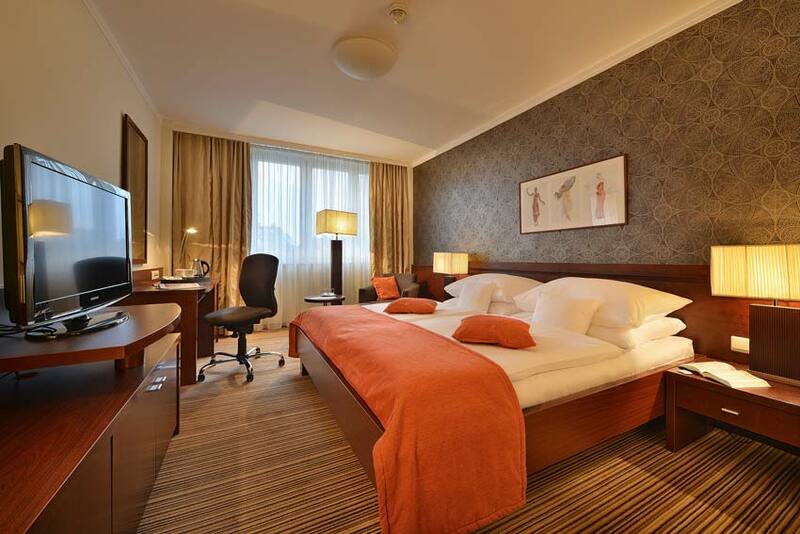 In Comfort category you can choose double, triple or family rooms. Guests with reservation through our website has access to Fitness center, Salt cave and Finnish sauna free of charge. In the room there is bottled water, coffee & tea making facilities free of charge, wifi within all hotel area and 10% discount in the hotel restaurant famous for its cuisine.